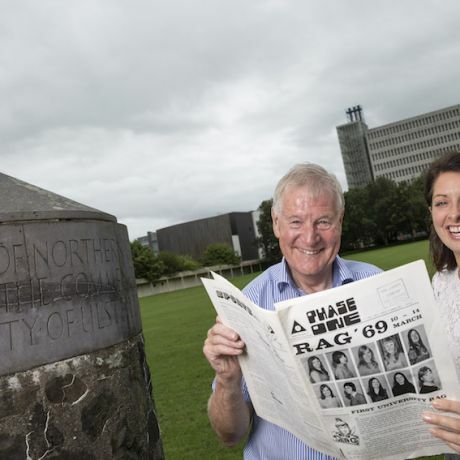 Fifty years is a significant landmark in our history and, during the course of the year, the anniversary will be marked with a programme of selected events and celebrations at Coleraine. This is an exciting time as we reflect on our history of excellence, innovation and breaking boundaries, as well as present our ambitious plans for the future. Most importantly, we seek to share the journey of past, present and future with our staff, students, alumni and the greater Coleraine community. Dr Karise Hutchinson is a Chartered Fellow of the Chartered Management Institute and holds a number of positions outside the University including, Affiliate of the Authentic Leadership Institute in Harvard, USA, Vice-Chair of the Causeway Enterprise Agency, Council member of the British Academy of Management and Faculty Board member of the Chartered Management Institute UK. Her experience includes business engagement across a range of industry sectors, where she has led several Knowledge Transfer Projects, organised a wide range of large-scale events for business owners and policy stakeholders, as well as invited keynote speaker. 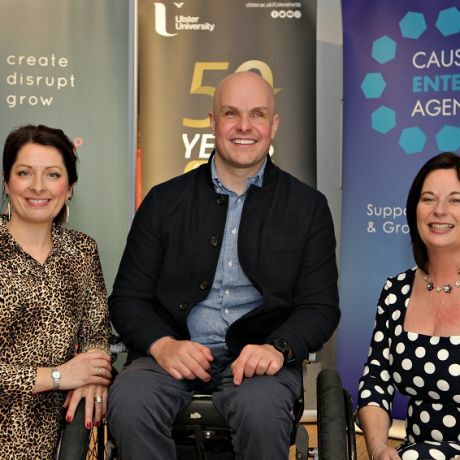 I’m a native of Coleraine and have been intrinsically connected to this campus since I was 19 years old – first as a student and then as a lecturer within Ulster University Business School. As we begin this 18-month programme of events, I am excited and honoured to lead the celebrations which mark 50 years of the University’s contribution to ‘my town’. 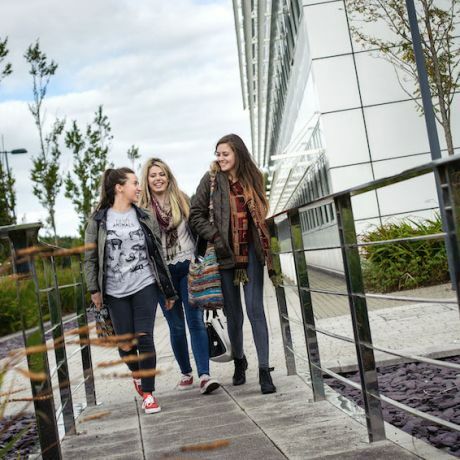 Ulster University is an anchor institution in this community – much more than a centre for academic and research excellence, it brings many positive economic, cultural and social benefits to the Causeway region. Across the key themes of social and economic renewal, culture and creativity, sustainability and healthy communities, this campus has come a long way in the past half century. While the jubilee provides a great opportunity for us to look back and reflect on our accomplishments, it’s even more important that we take the chance to look forward to our future contribution. 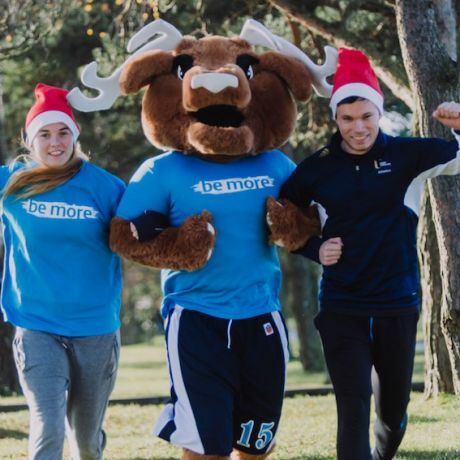 Over the coming months, a vibrant network of ambassadors, united by their connection to the campus, will tell their unique stories of sporting endeavour, community activism and civic leadership – advocacy which has transformed our community by raising the profile of this region at home and abroad. As we look ahead to the next 50 years, I am passionate about nurturing ‘town and gown’ relationships, and, with the continued support of a wide range of partners, will continue to focus on applying and translating the knowledge generated in our lecture theatres and laboratories to secure long-lasting economic and social prosperity for this region, and beyond. 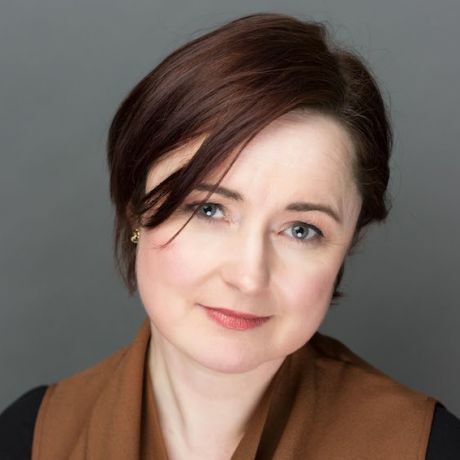 Frances is a member of Causeway Chamber of Commerce, Northern Ireland Chamber of Commerce, Women in Business and Causeway Business Education Partnership. She is a Director of Causeway Enterprise Agency and a member of the Business Advisory Group at Ulster University. She actively supports local community clubs and businesses alongside corporate sponsorships. As a recruiter I am responsible for putting the best candidates forward for jobs and matching them to temporary or permanent positions with client companies locally, nationally and internationally. Over the past 18 years, I have grown my company, Riada Resourcing, into an award-winning business which – along with many others in the area – is part of the backbone of the local economy. I am passionate about people, especially our young people, and how we can support and develop them to achieve their career ambitions here at home. We have a wealth of talent in Northern Ireland and I have a lot of respect for the highly-talented graduates of the Ulster University (I employ seven of them)! I want to continue to work and encourage these ambitious graduates, help them secure the perfect job and in turn be ambassadors for our indigenous businesses. For me, the contribution of Ulster University to the local economy is significant. Through the education of skilled, career-ready graduates, through research and knowledge exchange, the theatre and leisure facilities, the University has made a real difference to this area over the past 50 years – improving opportunities for our young people, which has helped me and many other companies in the local area grow our businesses. Socially too, this region has changed, with many international students from all over the globe settling in the Triangle area and making this a beautiful cosmopolitan part of the world. In my career, I‘ve had the chance to travel and work in London and Sydney. I’ve been back in Coleraine for over 25 years now and I just adore what I have on my doorstep – you really have to leave Northern Ireland to appreciate what we have here! During the coming 18 months, I look forward to building my connections with the University, developing the local talent pool and engaging with business and industry to ensure that together we develop our local economy for future generations. Dr Rosemary Peters-Gallagher OBE has long-standing connections with the University. She graduated from Ulster with a BSc Hons Economics with Accounting and in 1984 qualified as a chartered accountant, having trained with the predecessor of Moore Stephens (NI) LLP. She took up a post as a senior accountant within the University’s finance department in 1984, returning to Moore Stephens in 1986 and has been a partner in the practice since 1987. Rosemary is a Fellow of the Institute of Chartered Accountants in Ireland and a member of the Institute of Directors. She has served as a non-executive director of Invest NI, NHSSB and the Cabinet Office Audit & Risk Committee. Rosemary served on the University’s governing body from 2000 to 2016 and latterly held the positions of Honorary Treasurer and Deputy Chair of Council. She has also been active in charity work and is a Church of Ireland Trustee. She was awarded an OBE in the 2007 New Year’s Honours for services to business and the community in Northern Ireland. 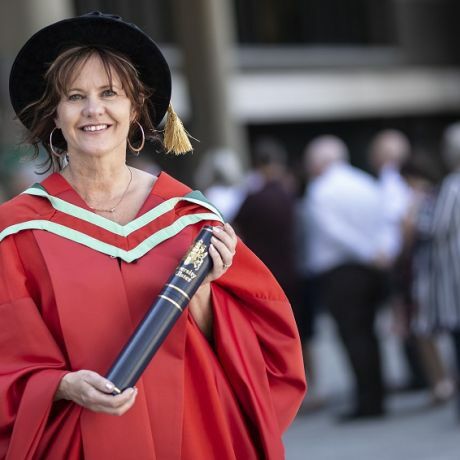 In 2016 Rosemary received the honorary degree of Doctor of Science (DSc) in recognition of her outstanding contribution to Ulster University and to the business community in Northern Ireland. 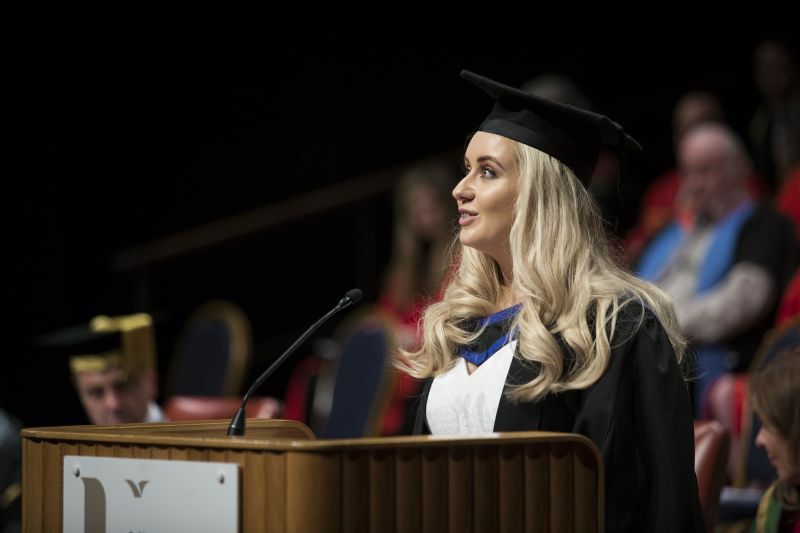 As an alumna and local resident, I think that the Coleraine campus of Ulster University has made a significant contribution to the wider community. 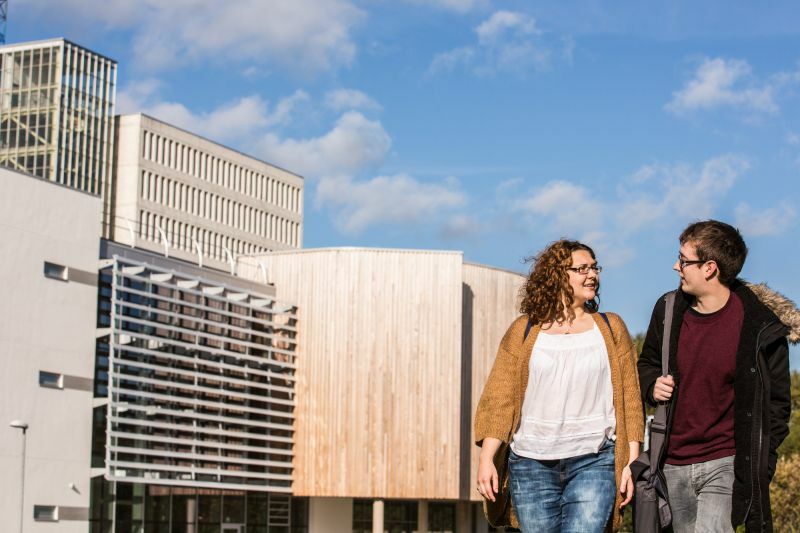 Not only does the University provide an important seat of learning for those from the local area and further afield, it is also a major employer in an area which has seen a marked decline in both the public and manufacturing sectors over recent years. Most of the students, academic and other staff live locally and make a huge contribution to community, civic, cultural and business life. During my long association with the University, I have observed its unceasing expansion both locally and internationally. This campus has forged a strong reputation for delivering high-impact research that changes lives and through innovative teaching, produces work-ready graduates. 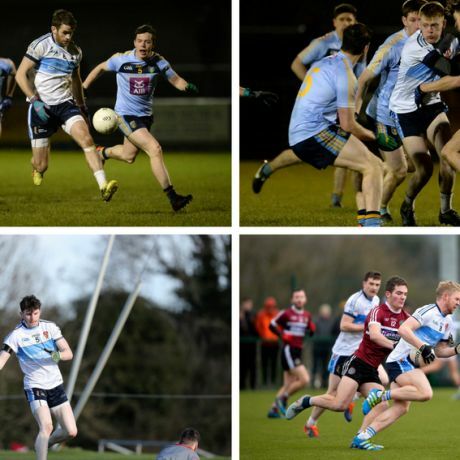 On a personal level, I have benefitted enormously from my time at Ulster. My degree in economics with accounting provided a firm foundation for my future career within the accounting profession and beyond. 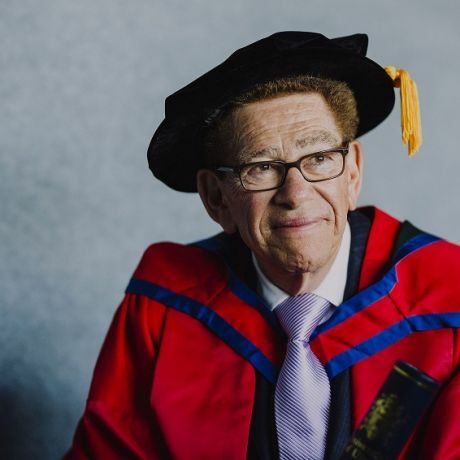 In marking this important milestone and taking the opportunity to recognise the University’s contribution to our community and acknowledge its vision for the future, I look forward to sharing the upcoming celebrations with staff, students, alumni and the wider public in the Coleraine area. 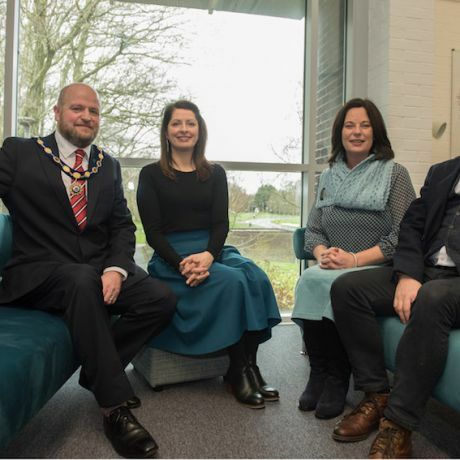 David was appointed as the first Chief Executive of the recently constituted Causeway Coast and Glens District Council, overseeing the creation of a new local authority area in 2015 comprising the former Coleraine, Limavady, Ballymoney and Moyle Councils. He was previously the Head of Support Services at Coleraine Borough Council, prior to which he was a senior manager with PricewaterhouseCoopers. In 2006, David was awarded an MBE for his successful delivery of a major transformational change programme. In 2016 he was given the Freedom of the City of London, strengthening the historic links between the City of London and Coleraine as well as helping to encourage new links in terms of economic opportunities for the Borough. For 50 years now Ulster University has been deeply bonded to Coleraine and has contributed much to the economic, social and cultural regeneration of the town and wider region. As a global centre for academic excellence and innovation, the University is at the heart of our local community – sharing talent and resources to provide tangible benefits for residents and visitors. 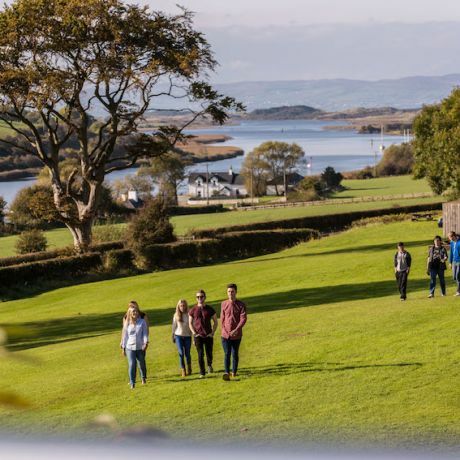 The campus is critically important to the Causeway Coast and Glens district, establishing Coleraine as a university town and stimulating a supporting socioeconomic ecosystem throughout the Borough. The relationship between town and gown complements the existing strong industrial and retail core, and has helped a wide range of local partners to raise the national and international profile of this region as a great place to visit, live, study and do business. As Northern Ireland’s civic university, Ulster‘s impact contributes to the wellbeing and economic prosperity of society. 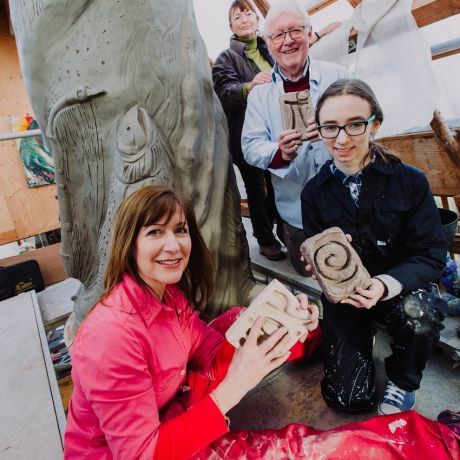 At a local level, the Riverside Theatre – a joint initiative of the former Coleraine Borough Council and the University – is a great example of that civic engagement, an outward and visible sign of the University’s close partnership with the Council and our shared commitment to supporting the arts for the public good. As the civic ambassador for the Coleraine at 50 celebrations, I look forward to working with the University to build on our shared successes and develop new projects which will drive sustainable development in this region. 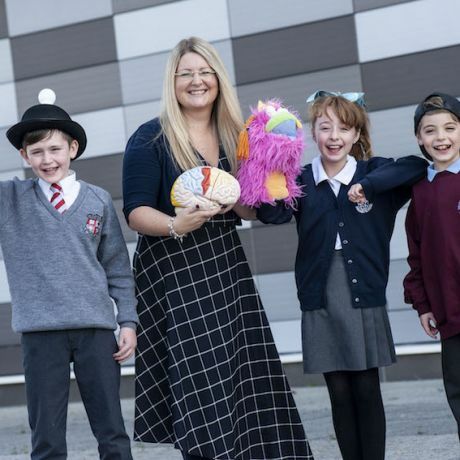 Katy Chilvers has taken up the post of student ambassador for the Coleraine at 50 celebrations, replacing Lauren Wilson who graduated in December 2018. 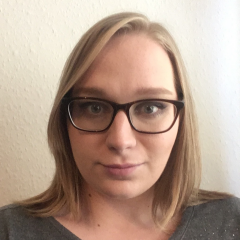 Katy commenced a psychology degree at Coleraine in September 2016 and is now in her third year, currently on placement in the Psychology Department at the University. She has held a wide variety of roles within Ulster University over the past 2 years, including course representative, Ulster Edge ambassador, PASS leader, resident assistant, and society chairperson. In her time on campus she has worked with the School of Psychology, Career department, the Mind Your Mood initiative, Residential Services, and the Students’ Union as the Chairperson of the Choral Society. Being a Coleraine girl, I am well versed in the wonder and beauties that are in Coleraine and its surrounding areas. I have spent many years on the Coleraine campus, long before I started my degree here. Therefore, it felt right to return and study on the campus that I love, while staying close to my family, the majority of which attended Ulster University over the years. Over the rest of my time as student ambassador, I look forward to continuing to explore the past and look forward to what I can bring to the future of the University. As student ambassador, I am the student face of the 50-year celebrations. These celebrations can help show students what they can be, and what Ulster can do for them, and I hope to help show them. Sign up for an event, read our stories or share your memories!